We are proud of our selection of forklifts, but our Drexel Forklifts are some of the most popular for tighter warehouses. 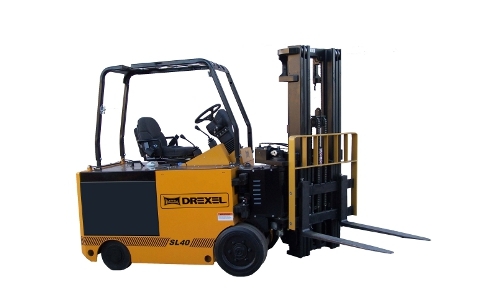 If you’re trying to do the most with limited space, consider buying or renting a Drexel Forklift. If you’re not sure, just ask us. We’ll help you compare different forklifts and identify the one that will help your business run more efficiently and help your team be more productive. 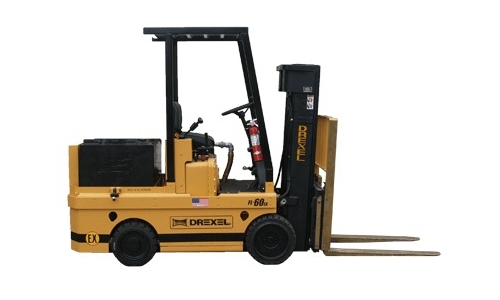 To maximize your storage space, the Drexel SwingMast Forklift Truck is the top of the line. This lift truck allows you to operate in very narrow aisles, as small as 4-1/2 feet, with capacities from 3,000 to 12,000 lbs. The versatile Landoll Drexel SwingMast gives you four trucks in one; performing like a conventional counterbalanced truck, a reach truck, a sideloader and a turret truck. 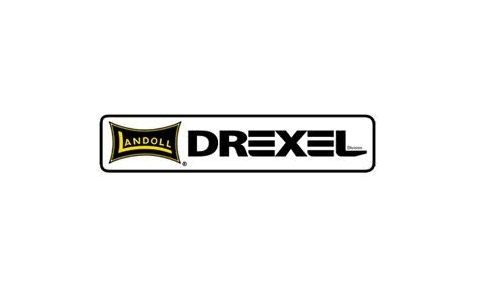 Inventory for Drexel Forklifts varies based on location. Contact your local branch to find out whether these forklifts are right for your company. Get information on how to operate and maintain them, plus anything else you need to know. Our team is here to help you! You can also call (866) 266-2244 to see if the line of Drexel Forklifts are available in your area.